Hi Everyone…looking for great family fun this weekend? 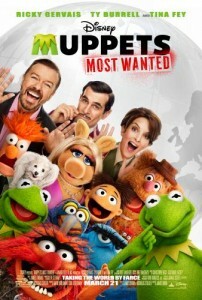 Take you kids to see the new Muppet Movie at a theatre near you. See all your old friends and make new ones! Below please find a link to new activity sheets including how to make a paper bag puppet, a pin the mole on Kermit game, sending a postcard from Miss Piggy and a fun Can You Spot the Differences game all on behalf of Disney’s MUPPETS MOST WANTED, which is currently playing in theatres everywhere! This entry was posted in Family, Fun, Kids and tagged Muppets Most Wanted by llpitlwp. Bookmark the permalink.